Features of both bowling and golf are combined in a novel indoor game recently introduced in Boston, Mass. 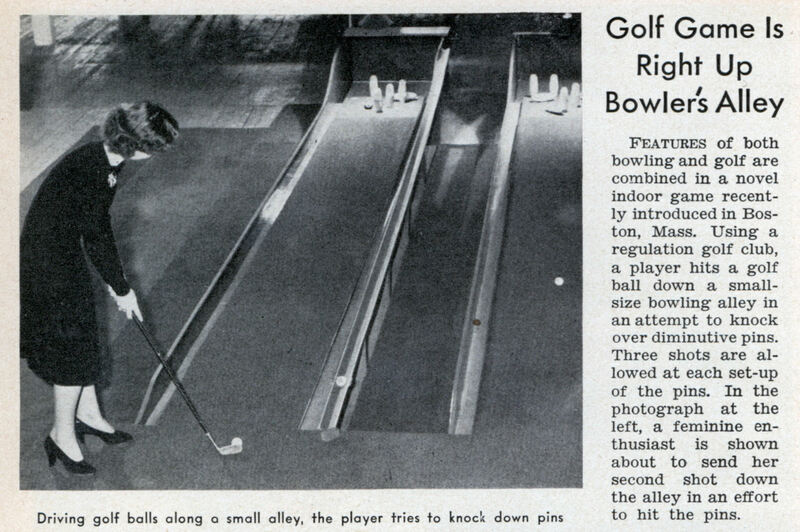 Using a regulation golf club, a player hits a golf ball down a small-size bowling alley in an attempt to knock over diminutive pins. Three shots are allowed at each set-up of the pins. In the photograph at the left, a feminine enthusiast is shown about to send her second shot down the alley in an effort to hit the pins.